If you’ve ever wanted to play as an amazing version of Barack Obama in a video game, you can, sorta, in Shaq Fu: A Legend Reborn. It’s probably not the first thing that came to mind when you thought of a game featuring the former President of the United States, but Mad Dog Games has included an exclusive DLC level for fans who went out of their way to buy a physical copy of the game. 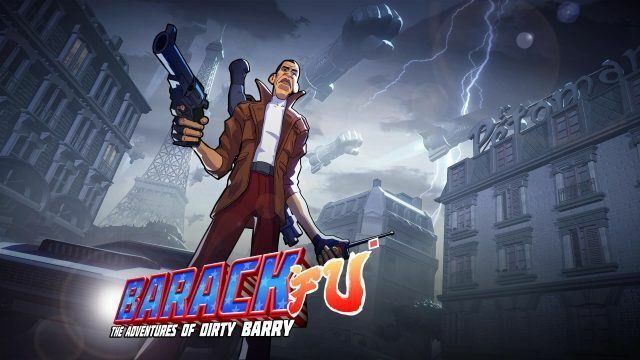 The new level is a mini-game where you get to play as a version of Obama in the Shaq Fu universe called “Barack Fu: The Adventures of Dirty Barry”. The shorthand version of this is that you play as Obama defeating enemies both on Earth and in space. You have a variety of weapons, aside from a few different guns and explosives, you also have “Peace Prize” special attack that has drones fly overhead and blow up whatever may be in your way. The only disappointing part to all of this is that we will never get a chance to see Obama himself play it while he was sitting in the office. But hey, if anyone wants to run a copy over to his house with a camera, we’d love to see him play the game today!